Home / News / Politics / EXPOSED: Paid 'yellow trolls' to destroy President Duterte and his administration? EXPOSED: Paid 'yellow trolls' to destroy President Duterte and his administration? In a very big world wide web, a troll is a person or a group who sows discord on the Internet by starting arguments or upsetting people, by posting inflammatory, extraneous, or off-topic messages in an online community such as a newsgroup, forum, chat room, or blog. Trolls intent is to provoke readers into an emotional response or of otherwise disrupting normal, on-topic discussion, often for the troll's amusement. 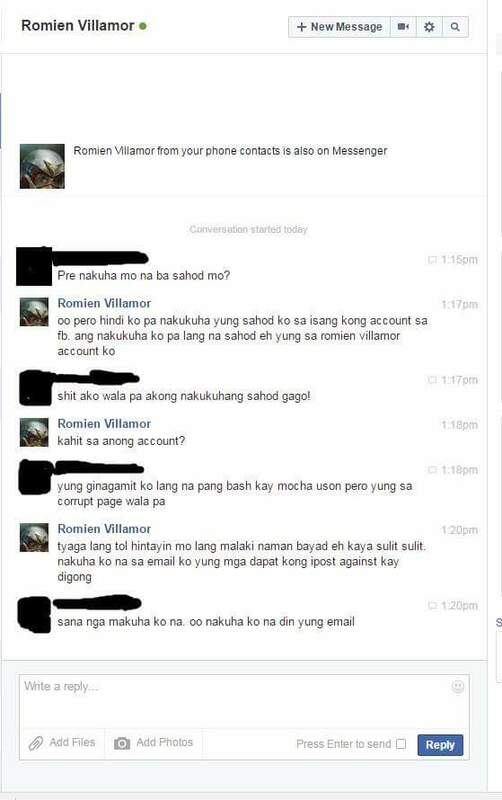 A certain Ivanez D. Ryan posted a screenshot of a chat conversation of alleged paid trolls who are said to be against the current administration. The professed Facebook users are talking about their payments for bashing President Rody Duterte and Mocha Uson. "Oo, pero hindi ko pa nakukuha yung sahod ko sa isa kong account sa fb. Ang nakukuha ko pa lang eh yung sa Romie Villamor account ko," an alleged Romien Villamor said in the conversation when asked if payment has been received. Villamor also added that the inquiring netizen should bear patience because the job is really good paying. 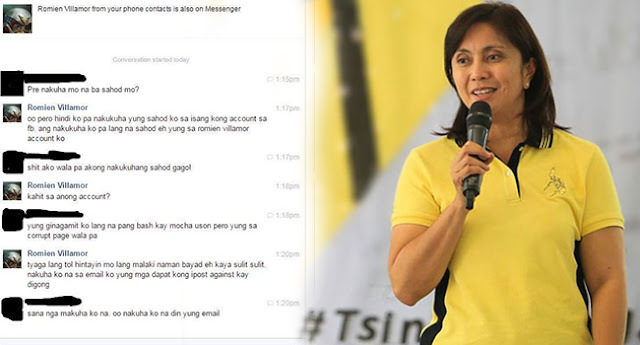 "Nakuha ko na sa email ko yung dapat kong ipost against kay Digong," Romien further said.